Every business owner is haunted by this fundamental question. Expert pricing strategist Mark Stiving draws upon more than 15 years of experience in profitable pricing and delivers a practical plan to help you confidently answer. Priceit’s most powerful marketing tool you have and the least understood. 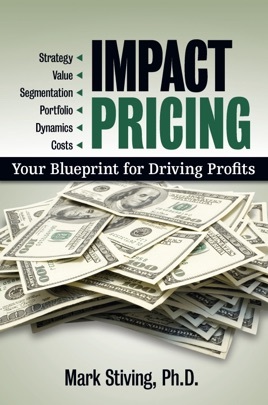 Zeroing in on the areas where your efforts will generate the greatest impact, Stiving breaks down critical pricing concepts and provides the blueprint to integrate proven pricing strategies into your growth plans. Be empowered to strengthen your pricing structure to withstand any conditions, dramatically elevating your company performance, position, and profits for long-term success.